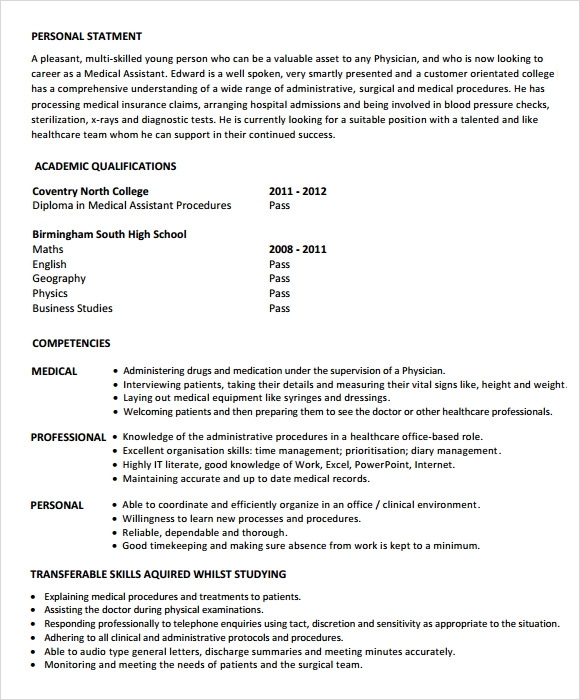 Sum up your skills and experiences in handling medical emergencies with our medical assistant resumes. 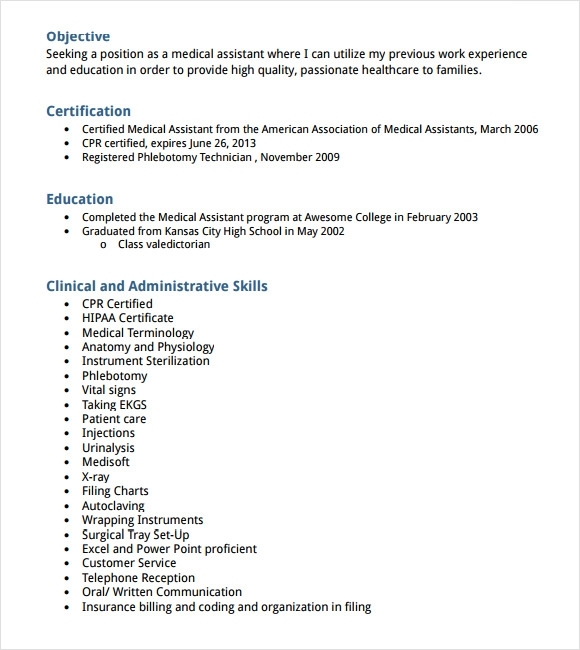 To serve as a medical assistant you need to have caring and administrative skills with of course fast reflexes to act promptly in case of any emergency situation. 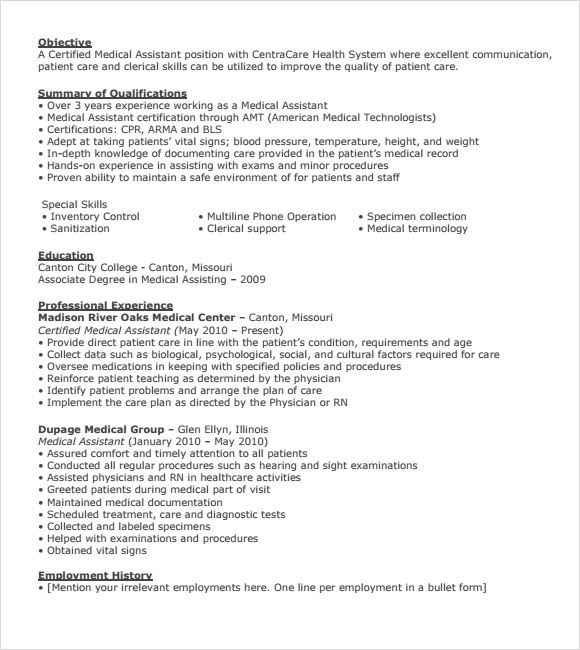 Medical assistants are inseparable for physicians and also a medical team. 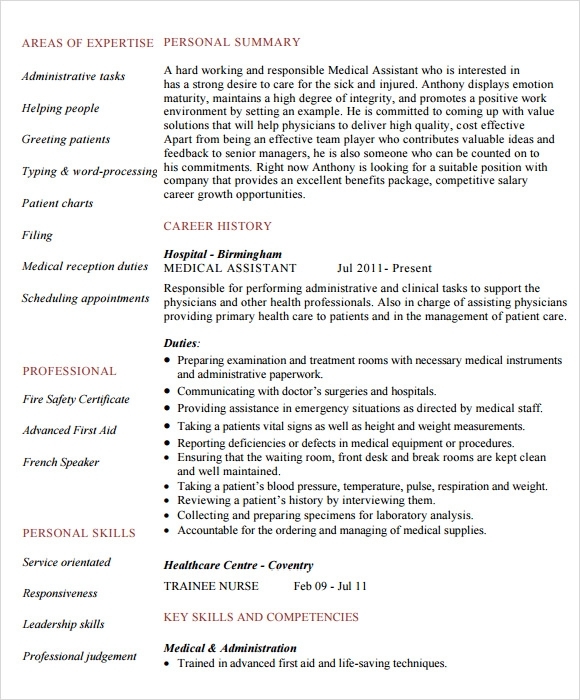 A professional resume for medical assistant must contain all details of your prior work history and other details. 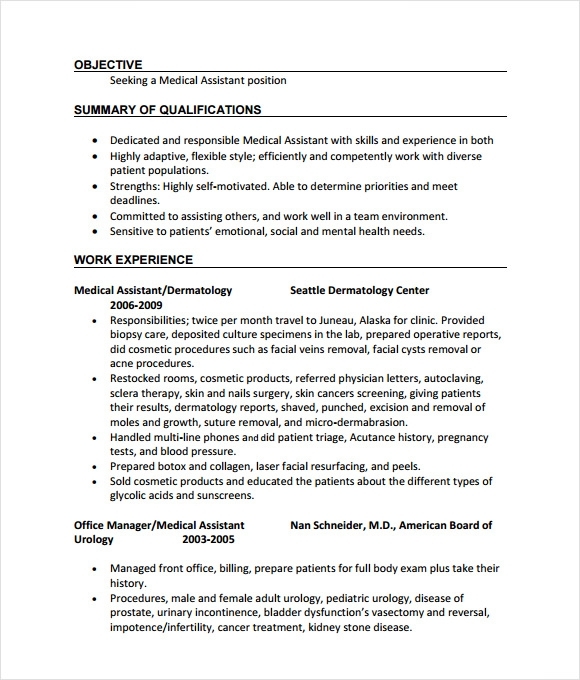 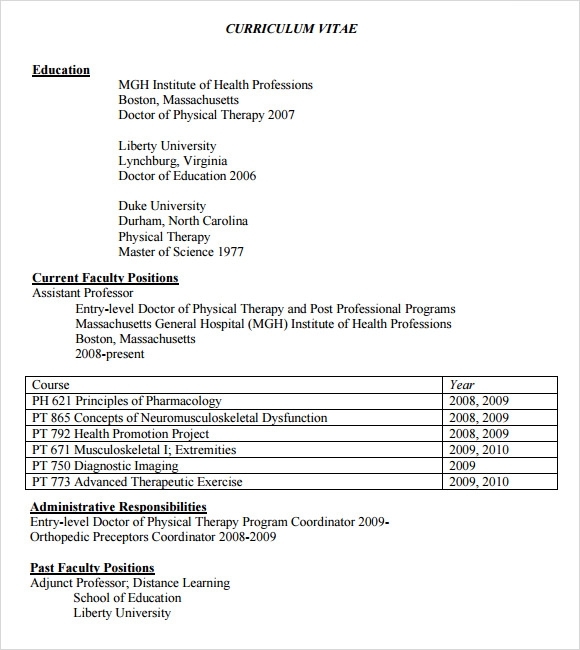 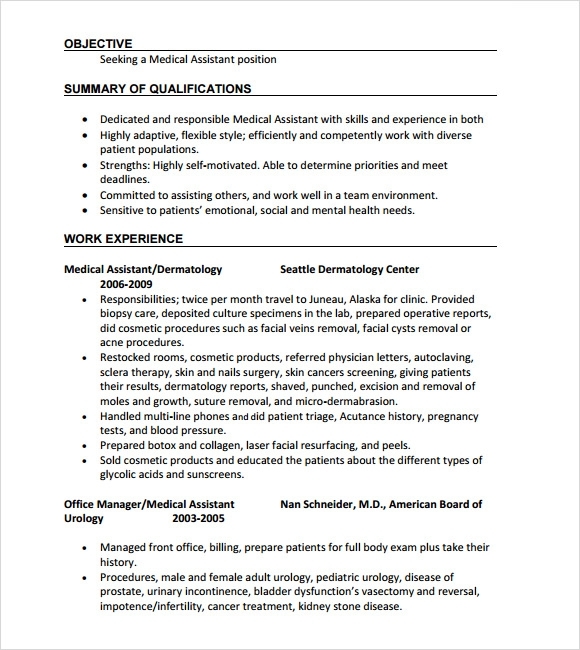 Download our free medical assistant Sample Resume Templates, and examples that take care of your educational details and most importantly your skills to provide clinical assistance like phlebotomy and x-ray tasks in a perfect format to highlight the important details.